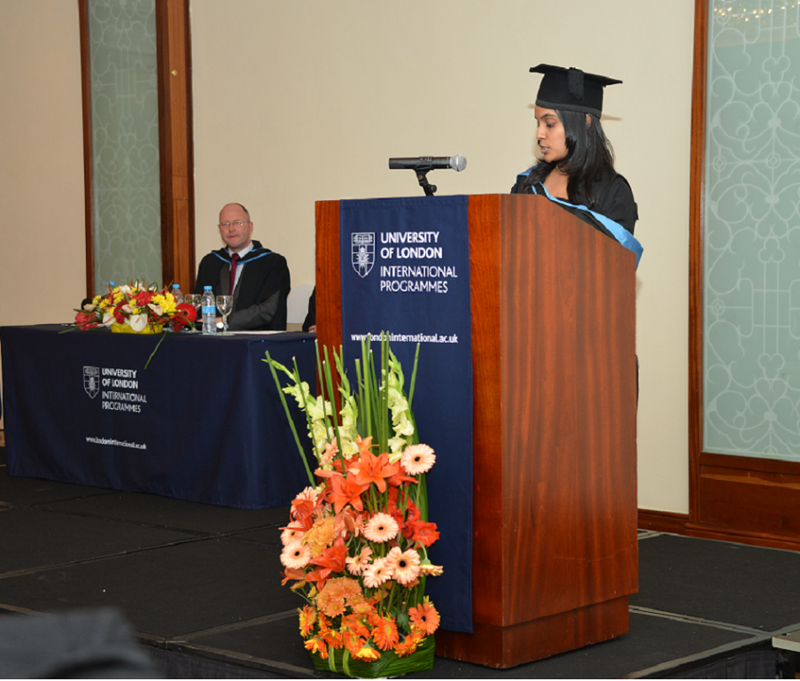 105 LLB graduates attended the Undergraduate Laws Programme Graduation Ceremony in Mauritius on Sunday 1st September. They were joined by over 200 family and friends at the Hilton Hotel in Flic-en-Flac. I understand that every year the University of London holds a ceremony in London inviting its international students to attend and celebrate their achievement. Many are unable to travel to London and miss the pageantry of this high academic crowning event. This initiative from the University of London to hold a ceremony in Mauritius must be applauded because it gives a unique opportunity to the new graduates not only to appropriately celebrate their personal success but also to do it in style with the added presence and decorum of all those dear to them who have given them support and encouragement, holding their hands as it were, over the years, as they progress. Congratulations to them as well. Other special guests included Dr the Hon. Rajeshwar Jeetah, Minister of Tertiary Education, Science, Research and Technology; Professor Lucien Finette, Director of the Mauritius Education Syndicate; Ms Dawn Long, Director of the British Council in Mauritius and Mr Nick Leake, British High Commissioner to Mauritius. As a graduate of the University of London, I can only wish that my fellow graduates will carry the name of the University of London with pride as they use what has been taught to them to bring forth new developments, growth and be among that long list of reputed brand ambassadors of our prestigious institute.